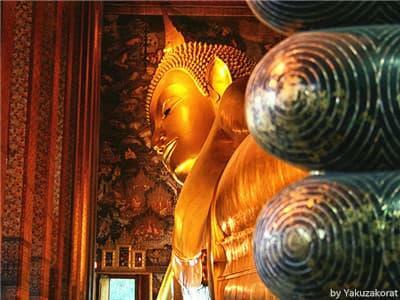 It is a very meaningful historical and cultural itinerary. From Bangkok all the way north, explore the birthplace of four dynasties in Thai history. Our knowledgeable tour guide will give you an insight into Thai history. 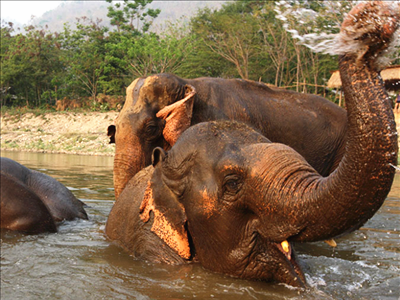 Besides, you can meet wild monkeys in lopuri's monkey temple and interact closely with elephants in Chiang mai! You'll have hilarious experience with cheeky monkeys in Monkey Temple. 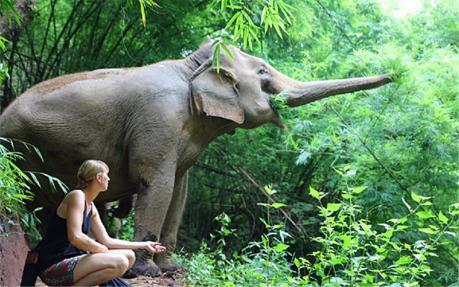 Enjoy the natural beauty that Elephant Nature Park allows! 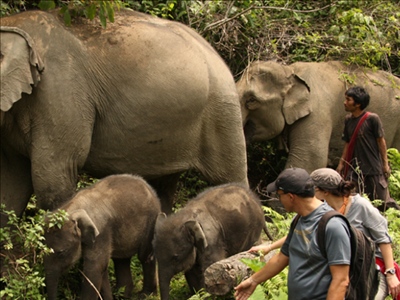 With no riding, helping elephants with love is a concept that Elephant Nature Park wants to share with people around the world. 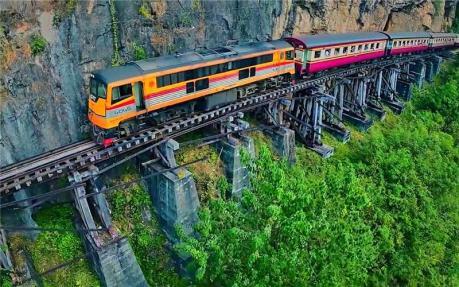 Witness the heart-breaking history in Kanchanaburi while take a scenic train ride on Thai-Burma Death Railway to better know how difficult the Allied prisoners built the railway. 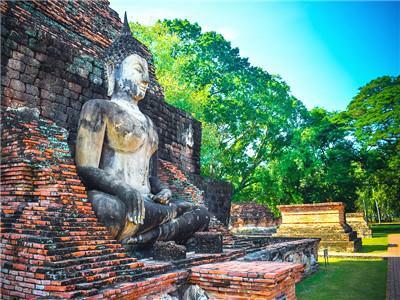 Learn about the historical development of Thailand by visiting Bangkok, Thonburi, Ayutthaya and Sukhothai, which are the 4 birthplaces of Thailand's historical dynasty. 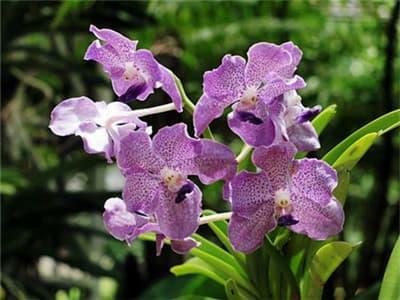 Plenty of free time ensures you could add any optional tours at any time during your trip in Phuket. Free and Flexible! Day 1 - Welcome to Bangkok! Today’s tour starts at 9AM. 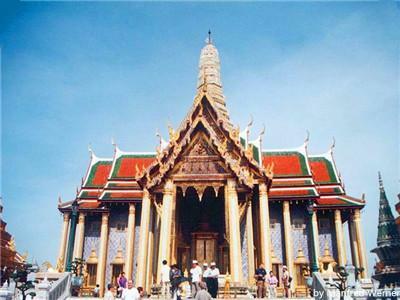 Firstly, your guide will take you to Grand Palace the nations's landmark and the most revered royal monuments. 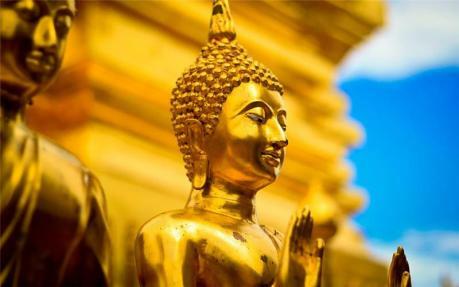 You will see the Palace that were used for different occasions as The Coronation Hall, Funeral Hall and Royal Guest House and the mysterious famous Emerald Buddha （Wat Phra Kaew）, the most revered Buddha image in Thailand.. Then visit Wat Pho, one of the oldest and largest temples in Bangkok. Lunch at local restaurants near the pier for well-known local cuisines. 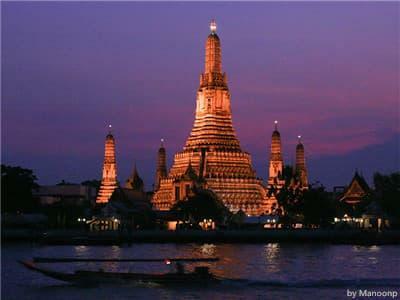 After lunch, cross the river by public ferry to visit Wat Arun on the opposite bank of the Chao Phraya River. After the whole visiting,return to hotel. This morning you will check out from hotel and head out to Damnoen Saduak Floating Market, one of the Thailand’s most famous attractions. Drive through Thailand's picturesque countryside before an unforgettable boat tour on one of the many canals. 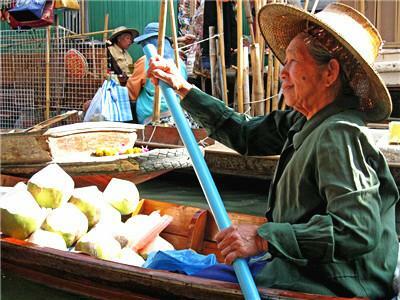 Experience provincial Thai lifestyle and view the daily hustle and bustle at a popular Damnoen Saduak floating market. 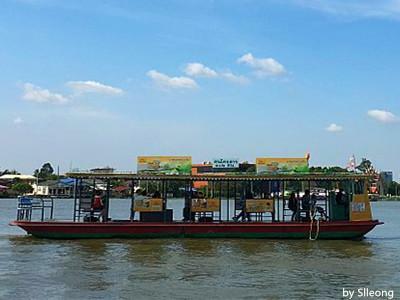 You will have a chance to take a ride on a long tail boat to get the real sense of floating market. After the long tail boat cruise aroud the market, you will stop at a transit point where you can choose to further explore by a 6-seat boat or stroll around by its banks. 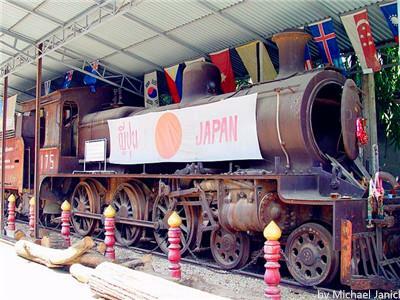 Your second stop is Kanchanaburi. 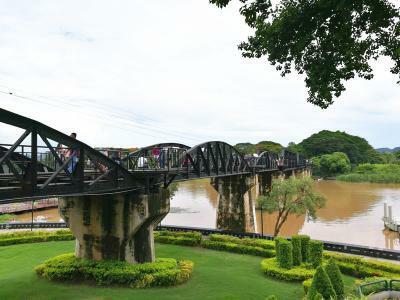 On arrival, you will visit the world-famous bridge over the River Kwai. The bridge was part of the Death Railway and was destroyed in Allied bombing raids towards the end of World War II but later rebuilt by the Japanese as war reparations. After enjoy your lunch at a riverside restaurant. You will continue to visit JEATH War Museum. 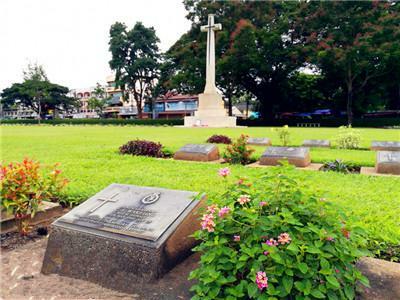 It is dedicated to the Allied prisoners of war(POWs) and Asian labourers who suffered and died during the construction period of River Kwai Bridge. And then to Don Rak War Cemetery to learn more about the history of the 6,982 Allied POWs who perished during the construction. Finally, check in at your hotel in Kanchanaburi. 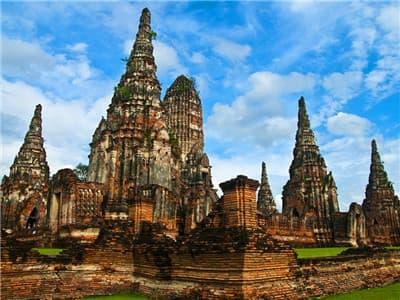 This morning you will check out from hotel and head to Ayuttaya,one of the UNESCO World Heritage list of Thailand. 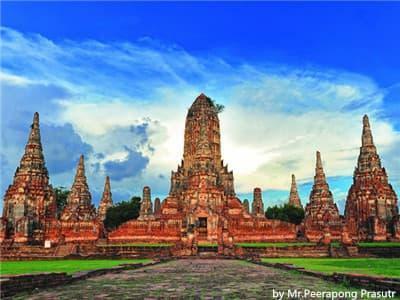 On the way to Ayutthaya, you will visit the Bang-Pa-In Summer Palace, located 60 kilometers north of Bangkok, an impressive architectural blend of East and West dating back to the 17th century. 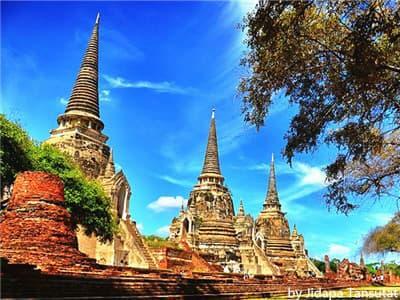 After the tour, check in at Ayutthaya's hotel and spend the rest of day at your leisure. Wear something light and long when you visit palaces or temple.You’ll need to wear pants or a dress/skirt that extends well past your knees, and a top that fully covers your shoulders. 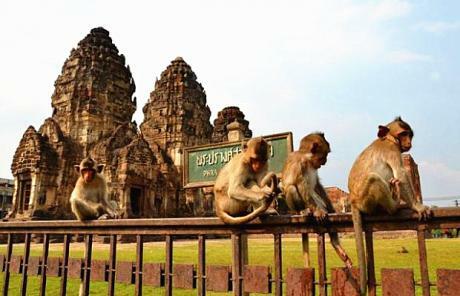 After breakfast at hotel, check out and head for Lopburi by your private car. 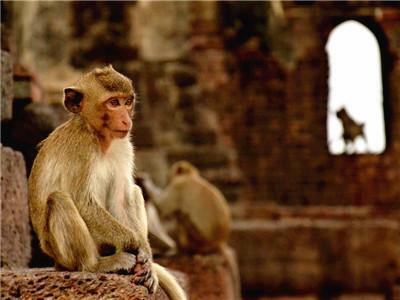 Today you will visit Monkey Temple, where you’ll have hilarious experience with cheeky monkeys. 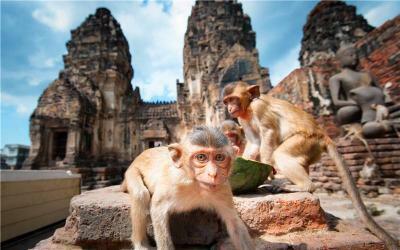 Continue to Wat San Phra Kan, the landmark of Lopburi city. 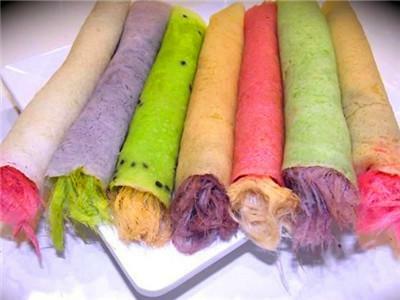 Enjoy your lunch at a local restaurant before head to Sukhothai. 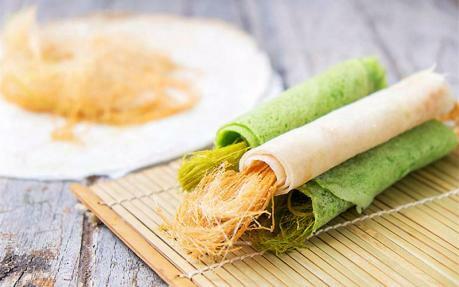 Upon arrival at Sukhothai,check in and have a refreshement, later, you will continue to the awe-inspiring Sukhothai Historical Park, a big and quiet park with 193 ruins comprising the ruins of royal palaces, Buddhist temples, the city gates, walls, moats and the water dyke control system of ancient Sukhothai. Today check out from hotel, we will drive straight to Chiang Mai. 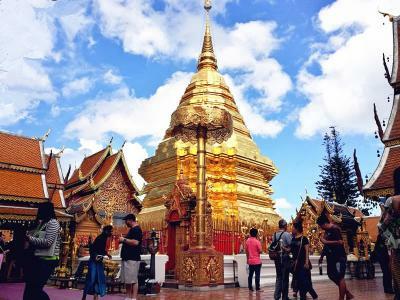 Upon arrival at Chiang Mai, a relaxing drive takes you to the Doi Suthep Mountain. Climb 309 steps (or for the less fitness-oriented, a tram is available for a small surcharge) to the top, enjoying a truly breathtaking scenery all along the way up to the top where you will find Wat Phra That, one of Northern Thailand’s most sacred temples. 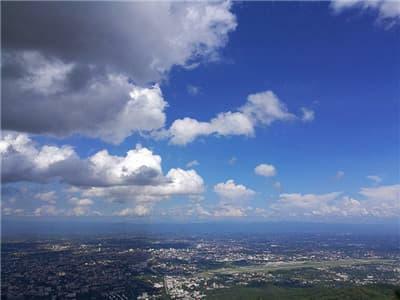 Have a panoramic views of the city of Chiang Mai. Return to Chiang Mai city with lunch at a local restaurant en route. Check in to the hotel and have a good time on your own. You will start your trip this early morning and hop aboard your private car departing for Chiang Rai Province. 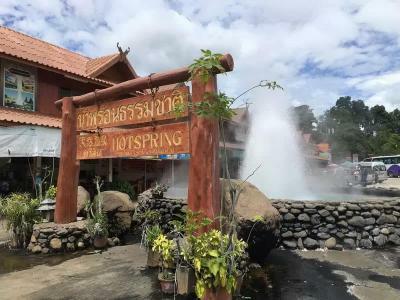 En route, makes a stopover at a Hot Spring for break. 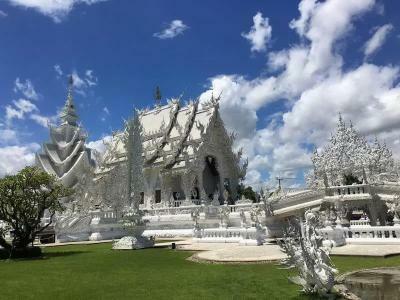 Continuing on, you will visit Wat Rong Khun or ‘the White Temple’, blending traditional Buddhist art with contemporary themes. 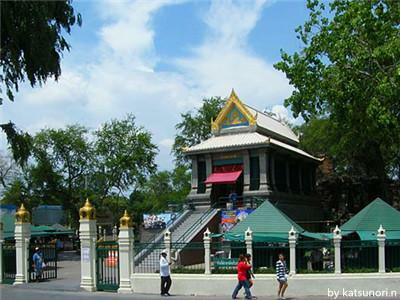 This temple was designed and built by Achan Chaloemchai Khositphiphat. A white ordination hall-Phra Ubosot- is decorated with silver glittering pieces of mirrors. Afterward, head to Chiang Saen, a river town strewn with the ruins of ancient temples. 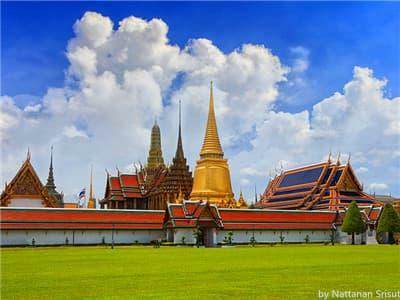 Your guide will share the history of the former Thai kingdom with you. 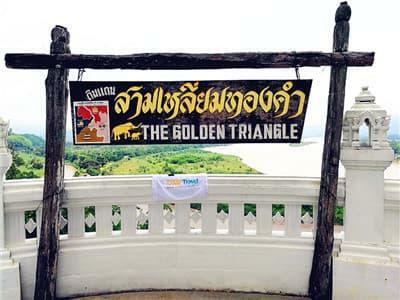 After lunch at local restaurant, move on to a temple overlook to view the Golden Triangle then hop aboard a long-tail boat for a ride on the Khong River. You’ll arrive at the point where Myanmar, Laos and Thailand meet, and stop at a local Laos village (bring your passport). 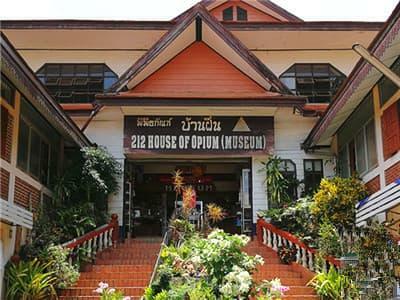 Visit the Hall of Opium, a private museum on the former opium trade, before a return transfer to your hotel in Chiang Mai. Have breakfast and relax at your hotel. 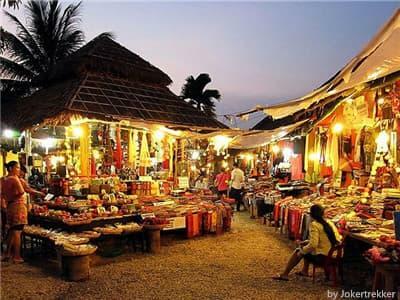 After check out from hotel, you will set apart to Phuket airport for your onward flight. Loved the tour. I can feel a bit like a local going through back alleys and seeing how people live their lives. Seeing Wat Arun at morning was amazing. Floating market was very interesting. Our guide was really nice. I must say this is one of the best experiences of my life. I really enjoyed Thailand. 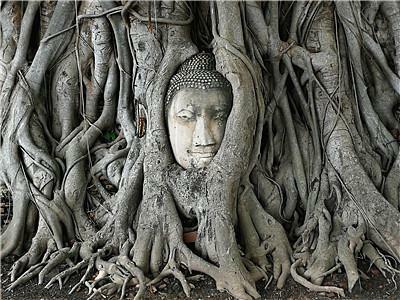 I booked a 7 Days Kanchanaburi, River Kwai & Ayutthaya Tour with UME travel and loved every minute of it. Seen so much in such little time, I would definitely consider a longer tour next time. Thai temples are amazing and Damnoen Saduak Floating Market was full of Thai special. Nice experience. This was an incredible experience, every day was a new adventure. I absolutely loved this trip and would recommend it top anyone who is interested! I did the 7 days Thailand, land of smiles trip and I could not be more happy with the trip! We visited the most breathtaking spots and had a small, family like group. Our guide took the time to get to know all of us an ensure we had access to all the best activities to fit our diverse personalities. We were lucky enough to get a guide who was extremely knowledge about the area, she showed us all the highlights. 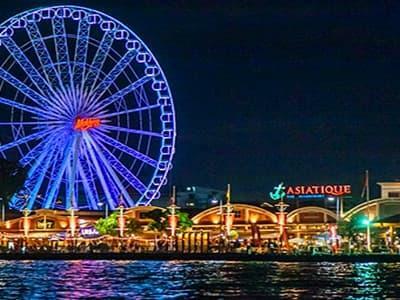 We were concerned about doing ourselves, mainly due to our age and the uncertainty of getting from Bangkok and then trying to seeing all the sights. Our guide made the whole experience really easy! Was really caring and willing to help you with anything and everything you needed. He went above and beyond. Ben and Jon were epic leaders. Trip was amazing, can't wait to do another one! The trip was amazing. All that had to be done is sit back and relax and enjoy the trip. Ben and John were awesome. Always had an answer for the million questions. Great experience loved travelling Thailand , the activities were amazing but the accomodations and weather were way under expectation. 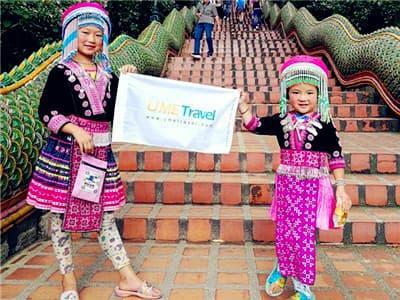 Ume travel is unlike other travel companies.. You are not a tourist. You are a traveler. This trip went above and beyond my expectations and was worth every single penny. I had the most amazing experience with ume travel! I was skeptical going into the tour because of the price, but would do it again in a heartbeat. I had no idea what to expect because the itinerary was quite vague, but ended up being pleasantly surprised day after day. I fell in love with the country and I am DEFINITELY going to recommend ume travel to friends and family back home. Nichapa was unable to take us for the tour but sent us an excellent guide - Sam. He was patient, obliging and caring. Excellent tour, marvelous guides. Sam took us through 7 days in middle Thailand. It was an enjoyable and cultural experience. The floating market in Bangkok is quite fascinating, its full of colorful boats filled with food items. Highly recommend this tour as your choice and have already recommend our friends to take his tour. 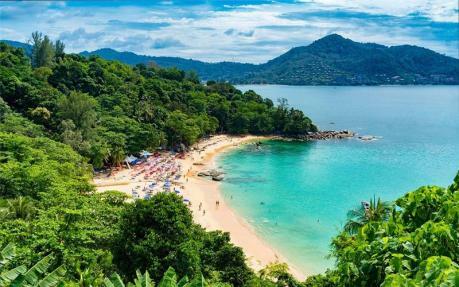 We book our Thailand tour with this company to Bangkok, Kanchanaburi and Hua Hin and Ayutthaya and summer palace. i think it cheap and good value. We had a great time with our tour guide, Sam. He had tons of great information and did a great job with the logistics and making sure everything went smooth. Eva accepts customization of my tour through email which is perfect for me as I don't want to waste my time for some place I am not interested. In additional to that, we are really impress with Sam’s (our local guide) patience with us who are always busy taking photos and took good care of us throughout. Thank you our local guide for taking good care of us and make our trip in Thailand enjoyable. 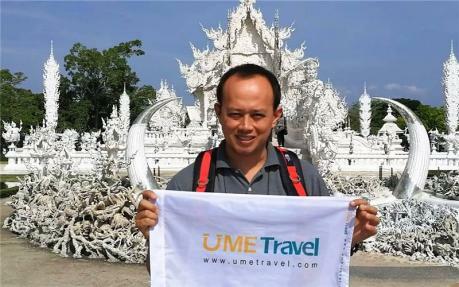 UME offered an amazing tour from Bangkok, Kanchanaburi to Hua Hin for a very fair price including good resorts. 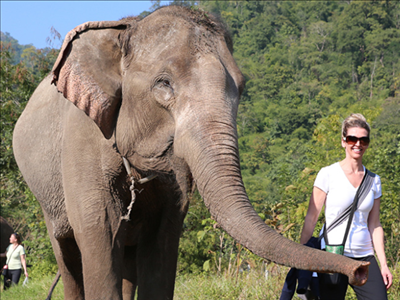 Sam is a very good tour guide, which is very important especially in Kanchanaburi! If you have more time and wanna do the same tour, we highly recommend it. We highly recommend doing whatever tour in ume with Sam. The best guide in thiland. Very recommended for everyone who want to stay just around Bangkok and a quiet beach. Sam took us to the best places in Bangkok in a very big and comfortable van. We contacted ume travel via email with our special advisor- Eva. Her email English was great!. When we arrive Thailand, our local guide, Sam, was a wonderful and professional. He spoke English well which made it easy for us to communicate. He was also very informative and knowledgeable. I'd definitely recommend him. Booking our Thailand trip was as simple as we book a dish on the restaurant. Very professional and well-organized. Even more easy. What you need is telling your ideas to your advisor and ours, Eva, obviously is an exceptional one. We had fantastic days with our tour advisor and guide with ume! Our local guide Sam’s English was amazing and his knowledge of Phuket led to a fun tour. As to Ayutthay historical park, cannot describe how educational the trip had been.